In just 2 weeks, 218-member House majority backs resolution against Iran deal; sponsor says it has good chance of beating Obama's veto. A new Congressional resolution calling to end the Iran nuclear deal has already received the support of at least 218 Republican lawmakers within just two weeks, and is well on its way to obtaining a two-thirds majority that US President Barack Obama will be unable to veto, according to its sponsor. The majority support in the House for the resolution drafted by Representative Peter Roskam (R-IL) comes during the 60-day Congressional review period of the deal. 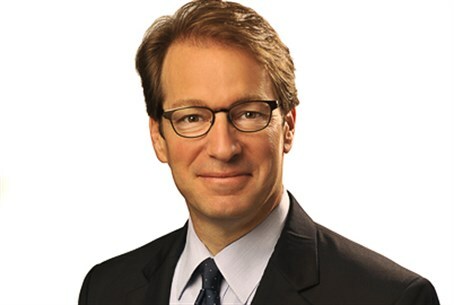 Having rallied impressive Republican support, Roskam now intends to convince Democrats to support the measure during the August recess so as to ensure Obama's desperate efforts to veto will fail. Roskam needs at least 290 of the 435 members of the House of Representatives to gain a two-thirds majority in overruling the presidential veto. He already has at least three members of the House leadership, 18 of 22 House committee chairmen and 23 of the 25 Republican members of the influential House Foreign Affairs Committee. The representative told the Washington Free Beacon on Monday that more lawmakers are backing the move to squash the Iran deal every day. That assessment that there are other options besides war has recently been reaffirmed by senior US military officials, debunking a key claim surfaced by Obama in pressing for the nuclear deal. Roskam concluded by saying Congress will "do everything in our power to shut down an accord that so utterly fails to shut down Iran’s nuclear program." Opposition to the nuclear deal has primarily pointed to the troubling fact that it has Iran inspect its own covert nuclear sites with international access forbidden, and lifts restrictions on the ballistic missile program of the leading state sponsor of terror. Roskam's new resolution brings up numerous troubling aspects of the nuclear deal in calling for its cancellation. It states directly that Congress rejects the deal and remains committed to preventing Iran from constructing a nuclear weapon. It likewise rejects key sections of the deal that give Iran billions of dollars in sanctions relief and allow the Islamic regime to build ballistic missiles and buy arms by having weapons sanctions expire. The motion notes that the deal "allows key restraints on Iran’s nuclear program to expire within 10 to 15 years, including those on Iran’s domestic uranium enrichment program and heavy-water reactor at Arak." "The Joint Comprehensive Plan of Action (JCPOA) fails to address Iran’s egregious human rights record, Iran’s role as the world’s leading state sponsor of international terrorism, and Iran’s unjust imprisonment of innocent United States citizens," it adds. A senior Congressional aide familiar with the resolution revealed to the Washington Free Beacon that the Obama administration is failing to gather support for the deal. "It appears the administration’s sales pitch for this deal is falling on deaf ears. Closed-door briefings and public hearings have apparently left Members with more questions than answers, and the administration’s decision to circumvent Congress by first bringing the deal to the UN infuriated key Democrats who are otherwise loyal to the president,” the source said. “This level of opposition so early in the review period indicates that Congress really has a chance of killing the agreement. What Congressman Roskam has done - securing 218 commitments from Members vote against the deal in just two weeks - is a rather remarkable feat. He still has more work to do, but this is an impressive start."